Doesn't Jennifer look beautiful! I would very much love to review this film for you all but unfortunately I can not find it anywhere! I have looked everywhere for it. I am glad however that there are pictures that I can enjoy! I will speak on the casting of Jennifer Beals and LisaGay Hamilton as mother and daughter. I think the casting is brilliant as both actresses are wonderful. 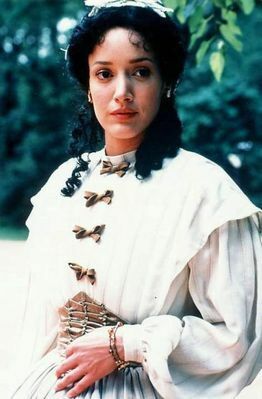 One of the things I really appreciate is how Jennifer Beals is a bi-racial woman playing a bi-racial woman. 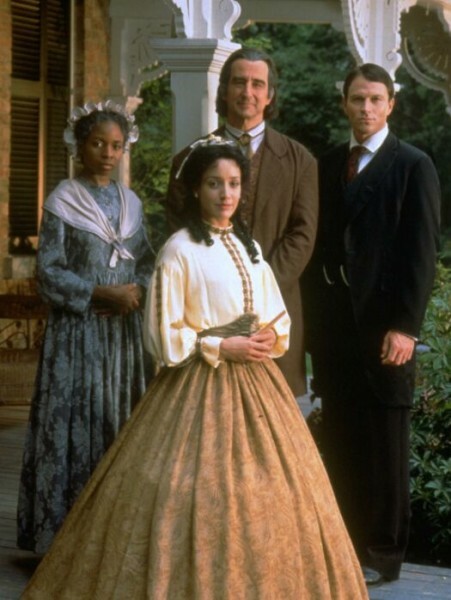 Furthermore she is a bi-racial actress that could pass as white during that time. I really dislike films that have white women playing bi-racial women or black/biracial women playing bi-racial women that can't pass as white. That was one of my pet peeves with the film Queen. Halle Berry could not pass as a white woman in any context but Jennifer Beals can. 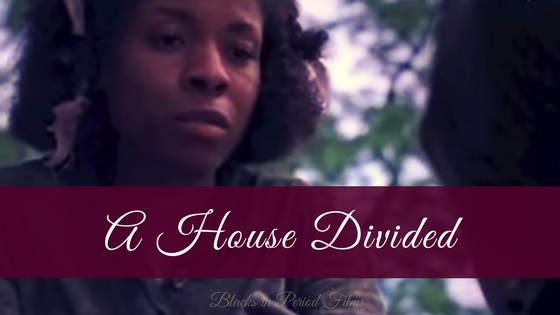 IMDb describes A House Divided as: In the aftermath of the terrible Civil War which has devastated the South, Amanda America Dixon returns home to find she has become the sole heir to a vast cotton plantation. But the dreadful secret which has blighted her life threatens to deprive her of the birthright which her beloved father David had struggled for so long to create. 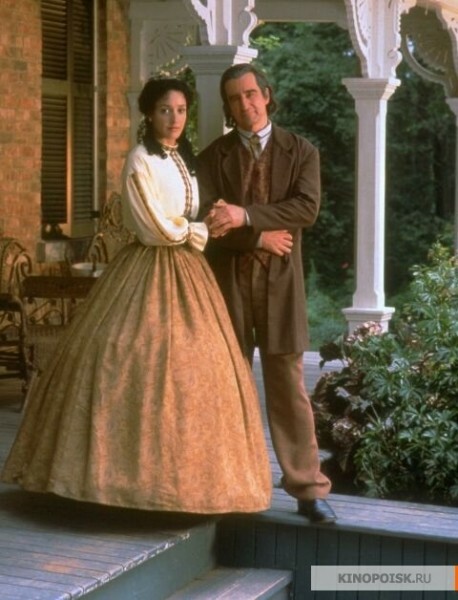 Raised by her father and grandmother to be the perfect white Southern Belle, Amanda's true mother was a black slave Julia. Confronted with the forces of greed and bigotry, Amanda has to face not only the hatred of a racist world, but the complex truth of a family whose lives have been built on a lie. You really have a grudge against Halle Berry, dont' you? I love Halle Berry! She doesn't pass as white to me. No grudge just the truth. Yes, Halle clearly looks mixed-race, mainly because of her nose shape.